FBM CB 4200 A replacement brain that lets you use your cursor on objects in-game. Mind Control Device Lets the user take control of other actors. Hoverboards Mountable vehicles that work somewhat like Unreal Tournament hoverboards. Axe Cop Mod Adds playable characters from Axe Cop. Polistes Necare The fancy Latin name just means Death Wasps. They come out of a hive and kill stuff. Starman AKA the "invincibility star" from Mario. Works just how you think it would. Coming of God Order an actor in this craft and watch 4 minutes of havoc ensue (boulders, lightning, explosions, etc). Then the actor lowers out of the sky glowing. Won Mod Contest 3 (theme: crafts). Click here for a video. MicroRepulsors Repulsor guns made of microwaves and batteries taped together. Cooks people. Blowguns Fires poisonous darts at people and slowly kills them. Medipacks Heal people with a convenient holdable kit. Smooth Slow Motion Put the game into slow motion with the push of a button. Orbit Lands A (very) small planet with gravitational pull. Good for sending soldiers into orbit. Click here for a video. The Reject Imagine Tetris, but the pieces are only a single block, and you're trapped inside it. Brain Wrestling MK2 A mod that makes Brain Wrestling an actual gamemode. Never ended up finishing this, but what's there is pretty fun at least. 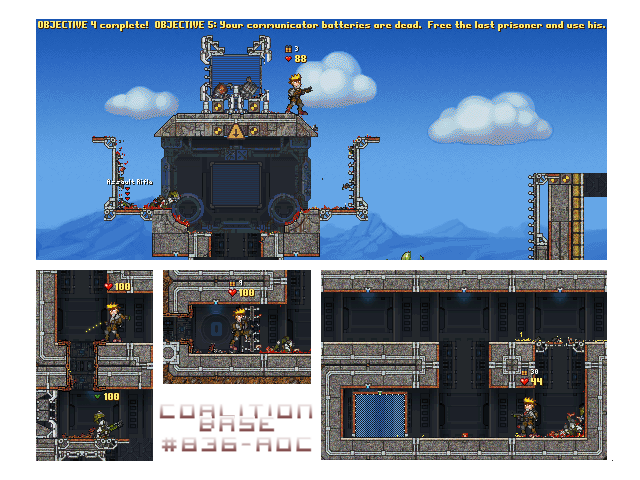 Prison Escape Break out of a Coalition prison using only a shovel. Of course, there are other weapons along the way. 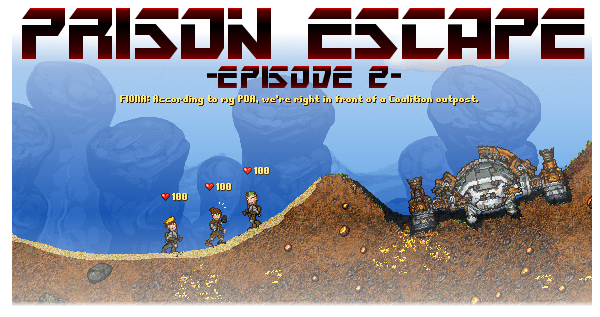 Prison Escape Episode 2 A sequel to Prison Escape, in which you have to invade then escape from a Coalition base. Classic Scenes Some of these are scenes that came from old versions of vanilla Cortex Command, but it includes Arctic Mission (a version of the old Grasslands with snow) and Apocalypse Towers (an extremely tall map with two buildings and breakable windows and furniture). 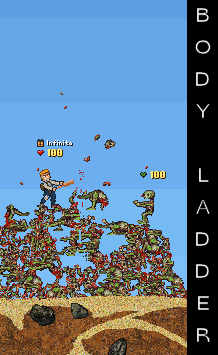 Body Ladder Based on the flash game of the same name. 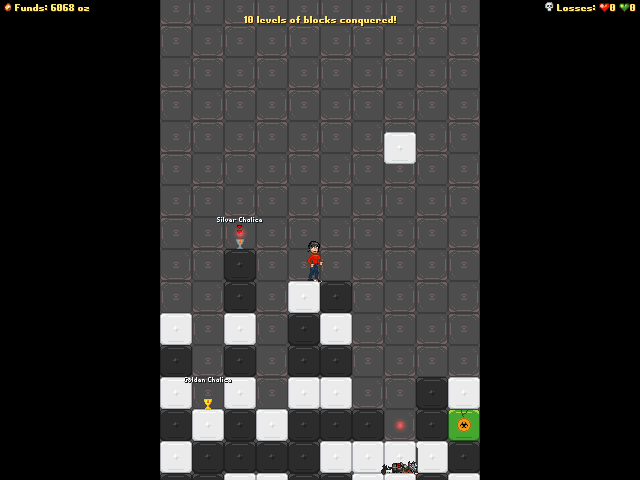 Kill zombies and climb their dead bodies to reach the top. Mind you, reaching the top is nigh impossible.